Make eating fun for the little ones with CERELAC NUTRIPUFF Banana & Orange cereal snack! This easy to pick, specially-designed finger food is just the right size for your child to start a fun self-feeding experience. With natural ingredients such as rice, whole wheat and fruits, it is high in iron, vitamin B1 and good source of zinc to help your child’s growth and development. Light and puffy, this cereal snack easily melts in the mouth of young children and is also easy to chew. 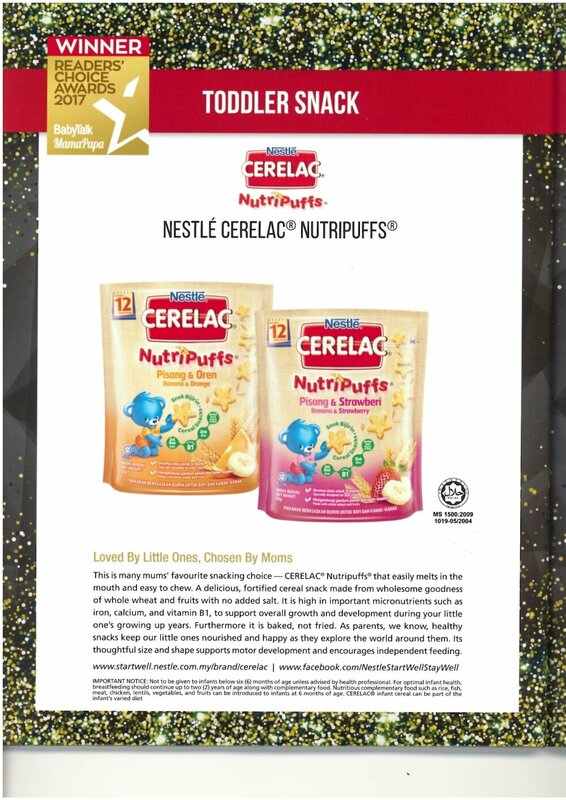 CERELAC NUTRIPUFF is Loved by Little Ones, Chosen by Mums!